Opperman said: "Both the fruit and vegetable industries have been hard hit by the drought and water restrictions. In the Ceres area, for example, the limited water supply resulted in 50% less onions and 80% less potatoes being planted this season. This impacts on food production and wage losses of millions of rand for seasonal workers." 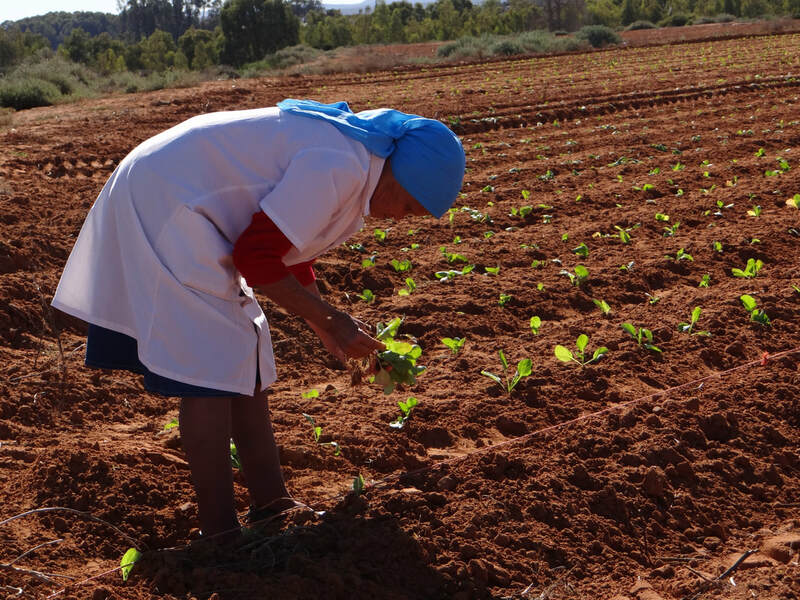 Similar concerns were also reported in October 2017 by provincial CoGTA which highlighted the risk of "civil unrest" as an estimated R40 million rand in agricultural workers wages had been lost as farmers cut back on new planting and harvests fell. How will the drought impact on advancing a joint programme for decent work in the agricultural sector? Potentially the imapcts are enormous as producers and workers experience hard times. Putting such a programme in place requires that producers, workers organisations, state and civil society organisations remain in productive conversation to improve conditions on farms. The drought and projected layoffs risk placing these relationships under intense strain and raise the level of conflict risk in the sector. Can the drought present an opportunity? "Realising that world‚ national and local leaders can do only so much‚ people have started working co-operatively and innovatively. There are domestic‚ street and faith-based responses‚ workplace plans and initiatives to support frail and vulnerable. As people work together‚ mesh talents and develop trust more dots are joined‚ giving issues of sustainability and co-operative solutions new meaning and practical application". These initiatives need to integrated into the agricultural landscape. There are are many things this protracted drought can teach us. It will be important for producer bodies and the provincial department of agriculture to communicate clear and reliable information about the impacts of the drought and to project how these impacts could play out for different commodities and in particular localities. ​A wide range of actors need this information so that joint responses can be developed, solutions found, implemented and monitored. Hard times should provide the cue to open up spaces for dialogue and communciation rather than closing them down. A new year marked by the launch of the Phuhlisani NPC website and blog. The blog will aim to provide news on Phuhlisani's work, links to useful articles and think pieces and reflections on the politics and practice of land and tenure reform in South Africa. We are going to make a concerted effort to communicate our work better in 2018 which we regard as a critical year in South Africa's history - one where there is a national fightback against elite capture and new directions for land reform which ensure equitable access to land and secure tenure for all but which recognise the danger of opportunist simplifcation of this complex issue.